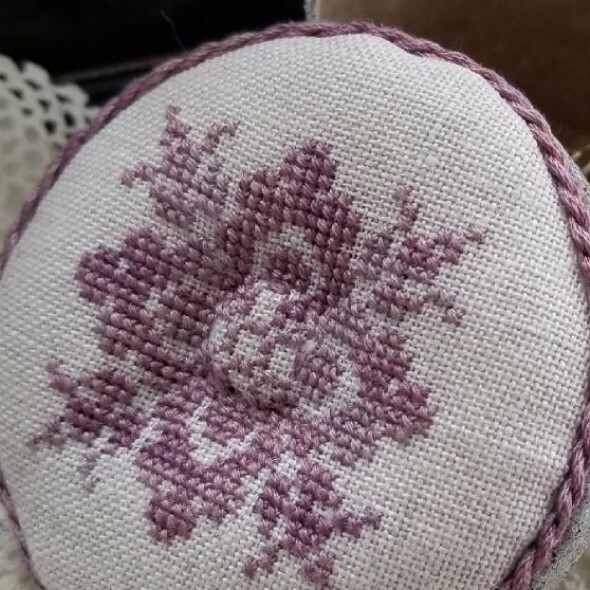 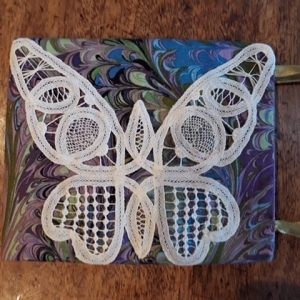 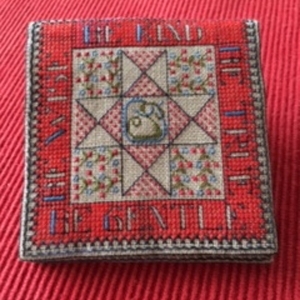 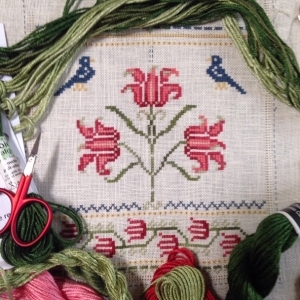 A little ort Treasure Box, with a most invaluable technique – Needleart designer Cathy Lyon will demonstrate how you will create a padded box top with a fabulous new design with 32 count linen (provided ahead of time, by email for a bit of pre-stitching needlework. 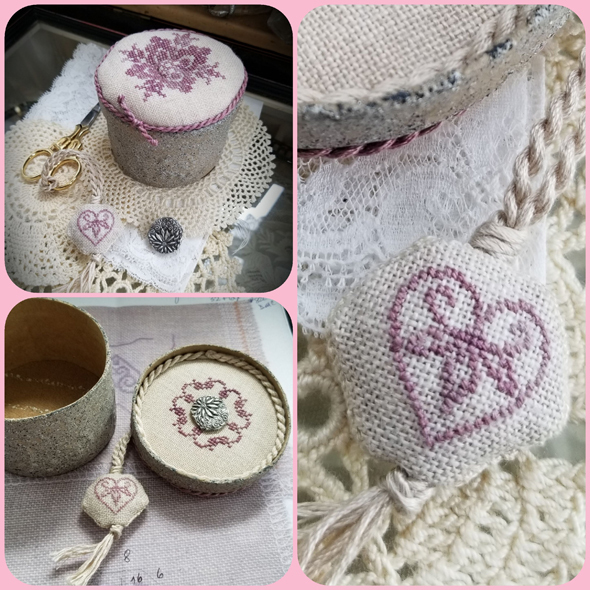 Your stitching will be mounted onto the padded 3” round textured exclusive treasure box, with cording edge and button center. 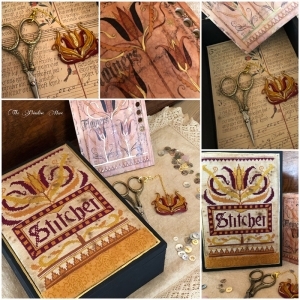 Kit includes: Box with padded top, 32 count linen, Cording, Button magnet, and Full color printed instructions.